3rd largest of the Caribbean islands, Jamaica has ample reason to be one of the most popular destinations in the Caribbean. Kingston is Jamaica's capitol, lies near the south-eastern coast. However the most beutiful part of the island lies on it's westerm tip.Here lies Negril, which attracts visitors from all over the world every year. Negril is a place whrer the traveler can feel safe walking down the 7 miles of white sand beach, picking fruits from the many trees, and enjoying a taste of Island culture in one of the most beautiful settings imaginable. The national language of Jamaica is English, however the dialect is not one that most English speakers would be familiar with. When first arriving in Jamaica, it may take a while to catch on to what some of the locals are saying. But don't worry, with a little bit a time and atttention, you'll have no problem conversing in Jamaican style.Knowing some of the history of Jamaica will help the visitor to understand Jamaican culture and lifestyle, and help the visitor to appreciate this unique island people. Among the many reasons the island of Jamaica continues to be one of the biggest tourist draws in the region is it's moderate and almost perpetual sunny weather. Temperatures rarely climb above 85 degrees, and the coolest weather you're likely to encounter on the island of Jamaica will hardly require a light jacket. The waters surrounding Jamaica are warm and inviting all year round. And with the many coral reefs that surround Jamaica, the island has become one of the most popular destinations for scuba diving in the whole Caribbean region. The deep waters that skirt the island also offer great opportunities for deep-sea fishing. 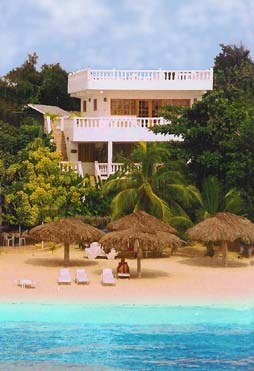 There are many dive shops and fishing tours available along Negril Beach. 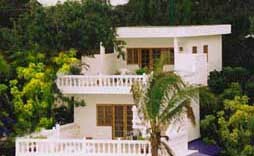 So when you stay in a Jamaican Villa, you'll have access to many tours and dives that are truly world class. Fishing has always been a large part of the culture of Jamaica, with seafood creating a large portion of the average Jamaican's diet. But fishing isn't the only way to grab a bite. Diving for conch is also a popular way for Jamaicans to catch a meal, and is also considered to be quite delicious. There are a number of protected species on the island of Jamaica and in it's surrounding waters. So it is always best to check with the local authorities or go out on a fishing tour where guides can assure that you are acting within legal and responsible guidlines.